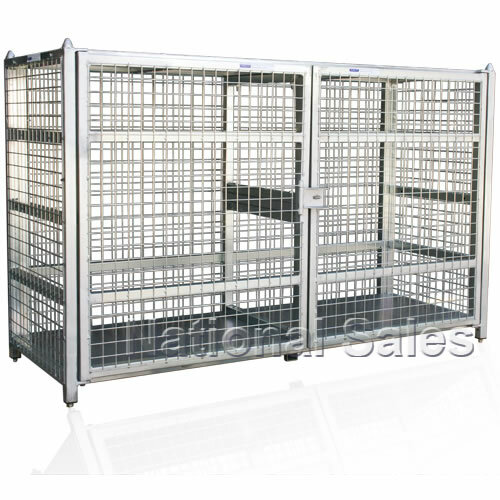 Sheet metal trays to bottom shelf allow for easy sliding of cylinders to the back of the cage. 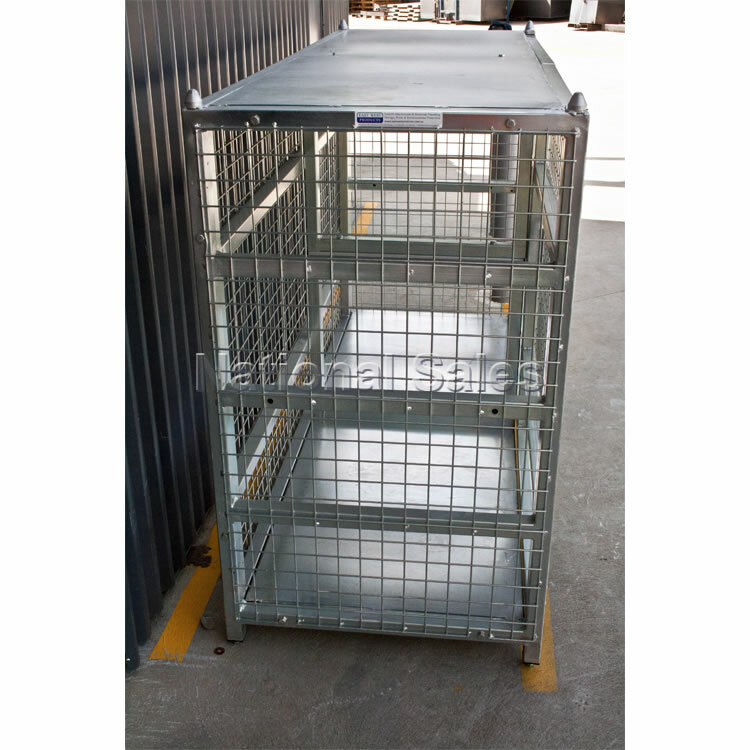 Forklift provision is provided under the cage along with stacking lugs. 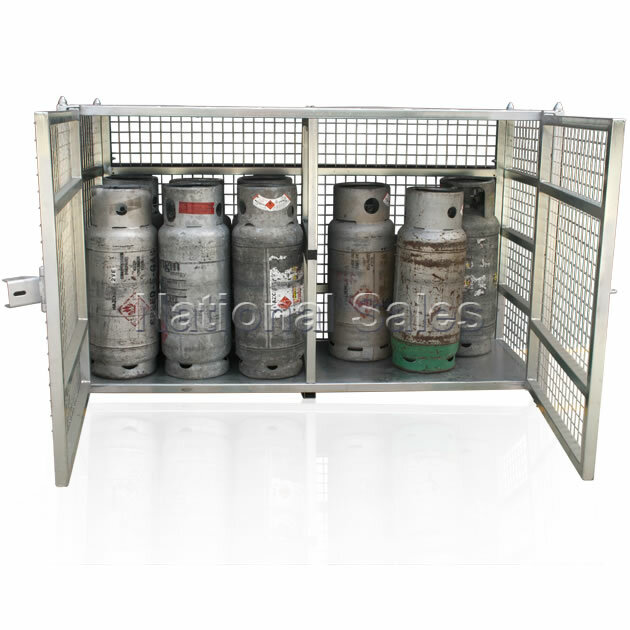 Cylinder cages can be stacked 2 high when laden or 3 high when empty. Levelling feet are provided as standard. 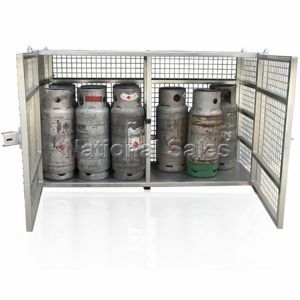 Durable Zinc finish for corrosion protection.